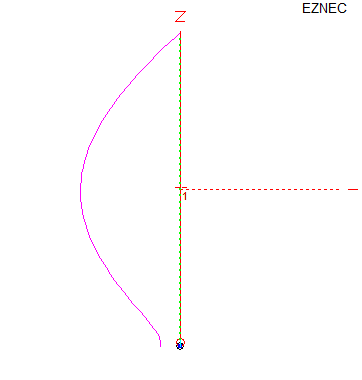 If I’d like to add 60M to this design, would it work by adding a 300pf doorknob to it? That should be fine. Give it a try! Nice description of building. I have a question: What is average bandwith withouth retuning. It’s quite low due to the high Q of the tuned circuit. Next time I use it I will take some measurements and add them to the page. So simple and logical way to explain how to reach a target! Congratulations and thank you for the nice antenna lesson. I like the concept of link coupled tuners. I would like to build one for a 180 foot long wire for 160 meters. Large copper coils….. maybe mount in a plastic garbage can or plastic barrel. Thanks for the information and links provided. I have been wondering of ground systems in HF-manpacks with whip antenna. 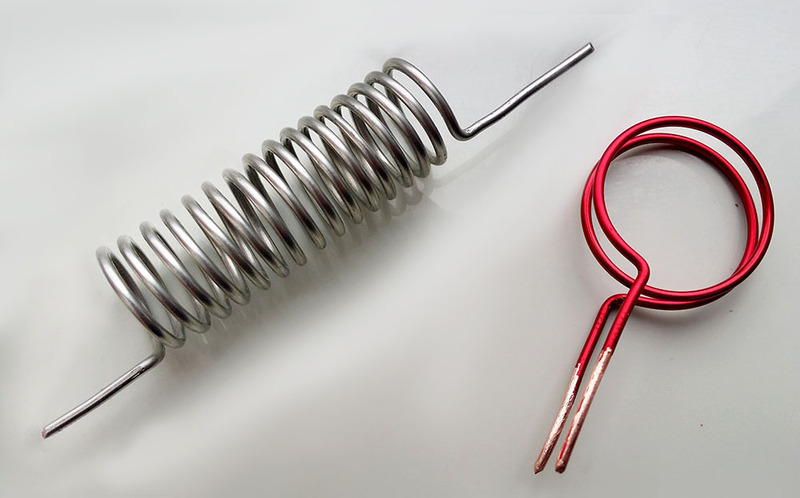 There are always suggestions to use them with ground stakes, counterpoise wires etc. if possible, so I suppose they are usual coil loaded quarter wave vertical whips. 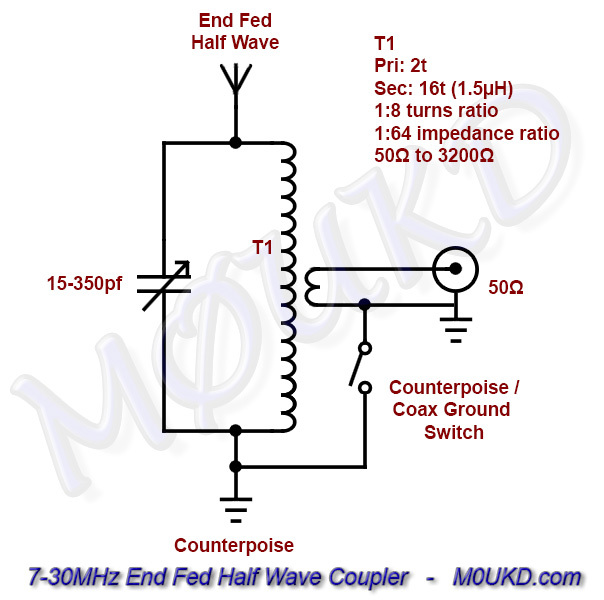 Have you ever try/heard of shortened (loaded whip) end fed half wave antenna? It sounds like quite obvious solution for manpack whip on HF. Or am I missing something? I haven’t seen any, although there’s no reason why not. You would have to experiment though, it would be another thing to get right! Perhaps I’ll try it some time, say on 80m. Do you have to re-tune the capacitor for each band? Do you foresee any problems using this on a sailboat for a vertical or sloper wire antenna? 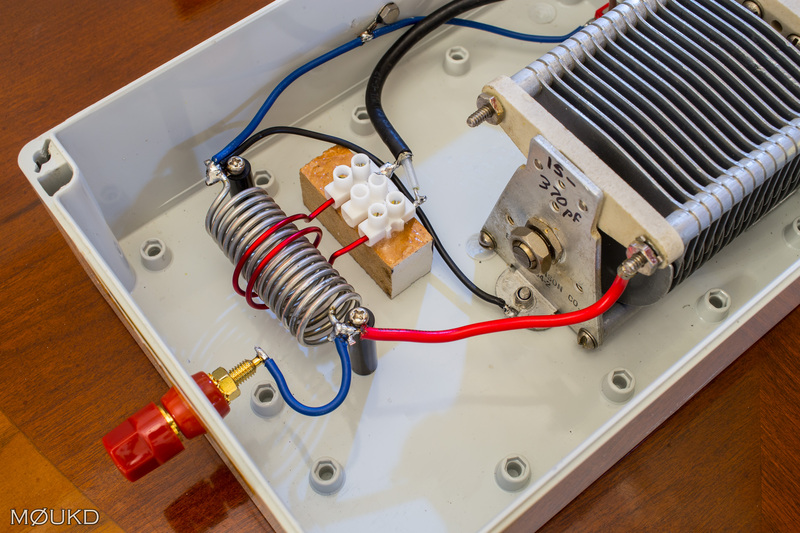 Yes, the capacitor and inductor create a resonant circuit, which must be tuned to the operating frequency for efficient power transfer between primary and secondary. Cant see why it wouldn’t work on your sailboat, sounds nice! Where did you get the variable capacitor from? I want one for an end feed antenna. 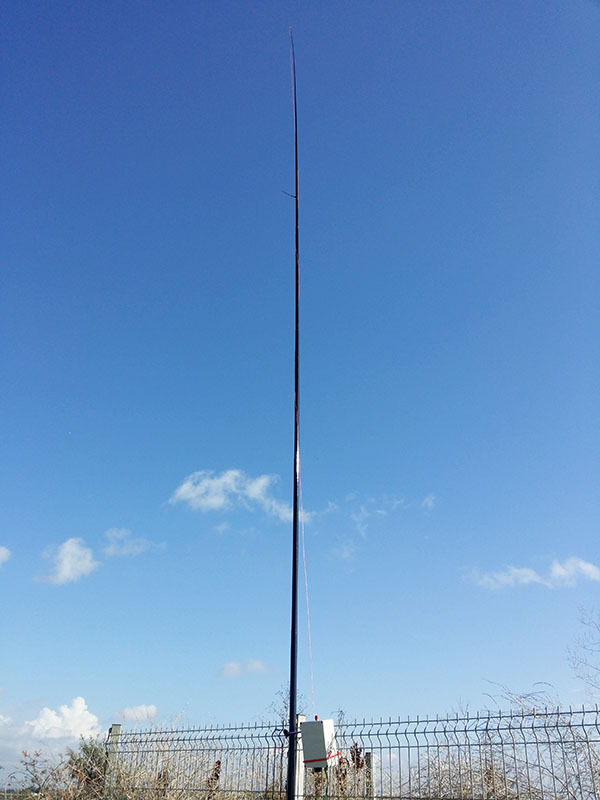 I have a 10meter squid pole ready for the end feed antenna. This come from eBay, they come up occasionally. Good luck with your antenna! Good day John, this is a thing of beauty! Thank you for the nice article. This specific type of matching is known as a “Fuchskreis” and was invented by an Austrian fellow called Joseph Fuchs OE1JF in 1927. In those days it was even simpler to match as all transmitting equipment was tube driven and this already had a very high output impedance. Interesting to hear that everybody ends up with this 2300 Ohm to 3500 Ohm feedpoint impedance. I use EFHWs that are driven by a low pass as impedance match, much like the original Par Endfedz and had the same experience. Will build one of yours, I am very motivated now. Thank you for sharing this project John. Thanks for presentation. I finished my coupler few days ago. It works great! Nothing FANCY but easy to build and practical!!! However I have a question, what did you use to measure/verify the inductor’s 1.5uH? Do you recall the meter’s test frequency if used? I suppose one could ball-park this by building a parallel resonant tank and a O-scope ensuring the 1.5 uH with a 1% rf cap in parallel assuring correct resonance, and of course a series 50ohm termination might be good enough? I used my Almost All Digital Electronics L/C Meter IIB. Yes you could measure the resonant frequency with a fixed capacitor in parallel and work it out that way if you don’t have access to an LC meter. I find that an end-fed half-wave is a great holiday antenna. 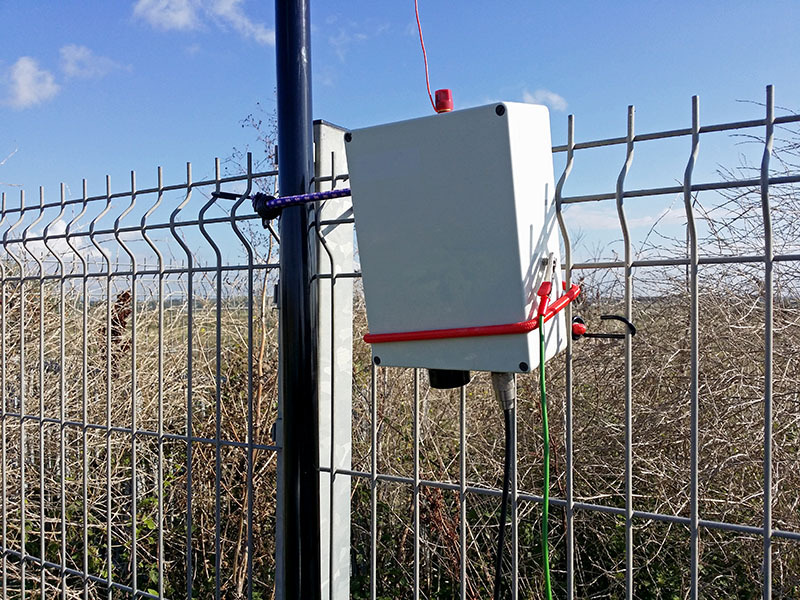 The tuner (for low power) can be made quite small, and 10 metres of wire provides 20m and 10m bands, and with a bit of tweaking 6m as well. The wire can be wrapped up small and the whole thing fit into quite a small space. What gauge wire did you use for the secondary? I tried #18 enamel but not stiff enough. 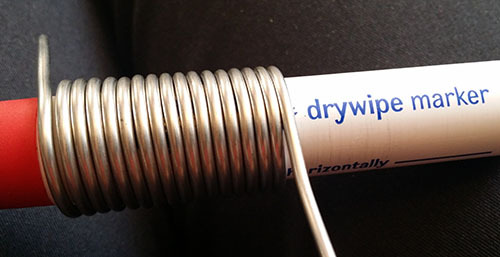 I have some #14(common house wire) and give that a try. Thanks for a great portable antenna idea. I can’t remember what gauge I used, but I just used something thick enough to self support sufficiently. Good luck with it! 73, John. 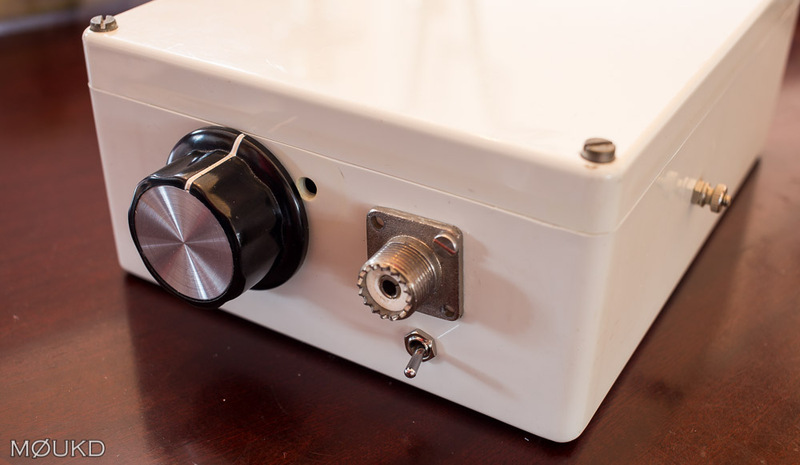 Adding a 300pF doorknob capacitor adds 60M and works just fine. For a quick band switching I used banana male and female connector cables. 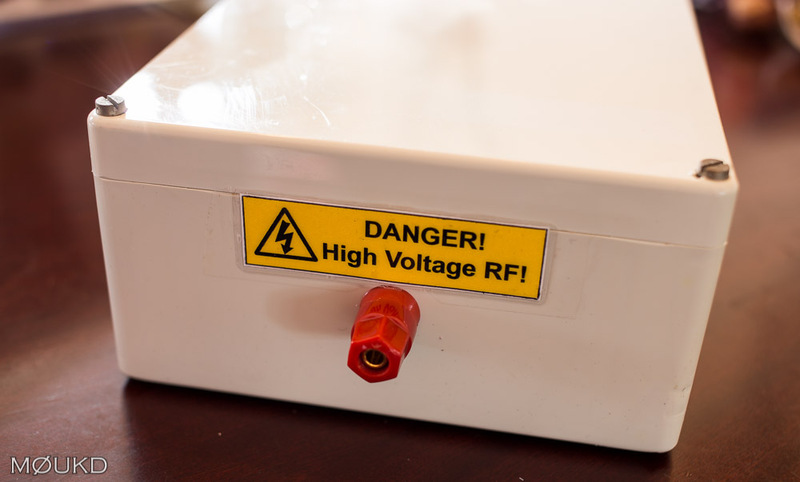 Is there a way to calculate the capacitor voltage rating in order to use more than 100Watts? Yes there is. 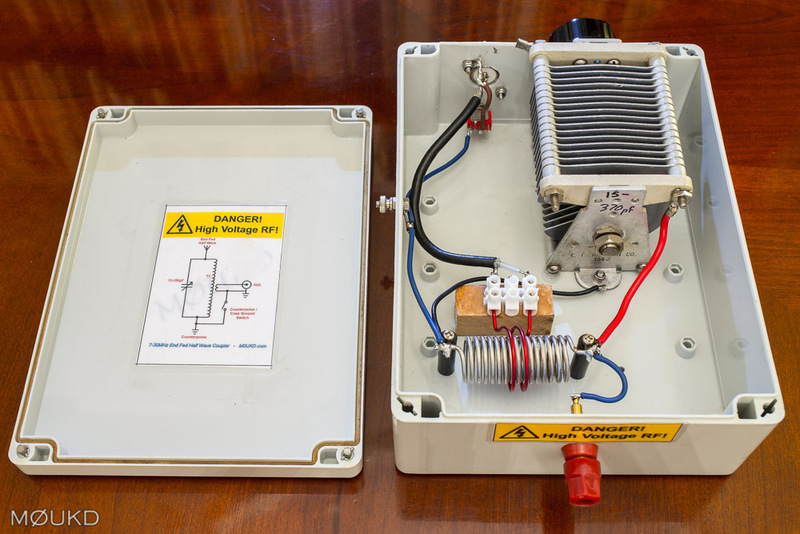 If you take your power, lets use 500W as an example, and the impedance, in this case 3200Ω, the voltage across the capacitor will be 1265 Volts. The calculation for this is the square root of the watts*impedance. Or, just use the calculator below!